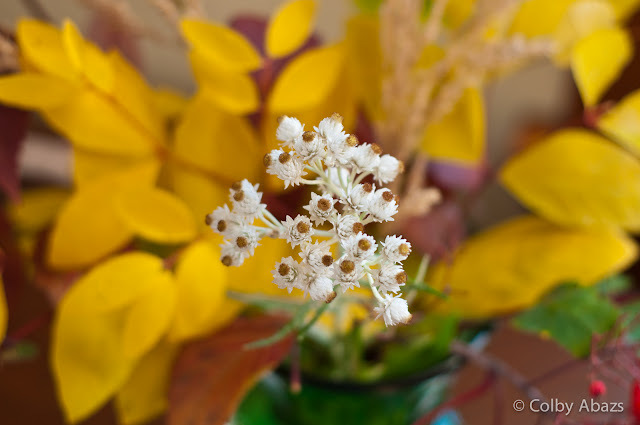 Fall bouquets are very beautiful and photogenic. I liked this one that was made by a coworker at Split Rock Lighthouse. There was this one clump of white flowers sticking out the top then this swath of colorful leaves creating the base. There were a few other elements as well but those two were my favorite and made a great photograph. I like the shallow depth of field which makes you focus on the white flowers and the colorful leaves becomes a nice non-distracting background.